I am putting the Swiss Degen up for sale. Asking price is 1050 Euros. 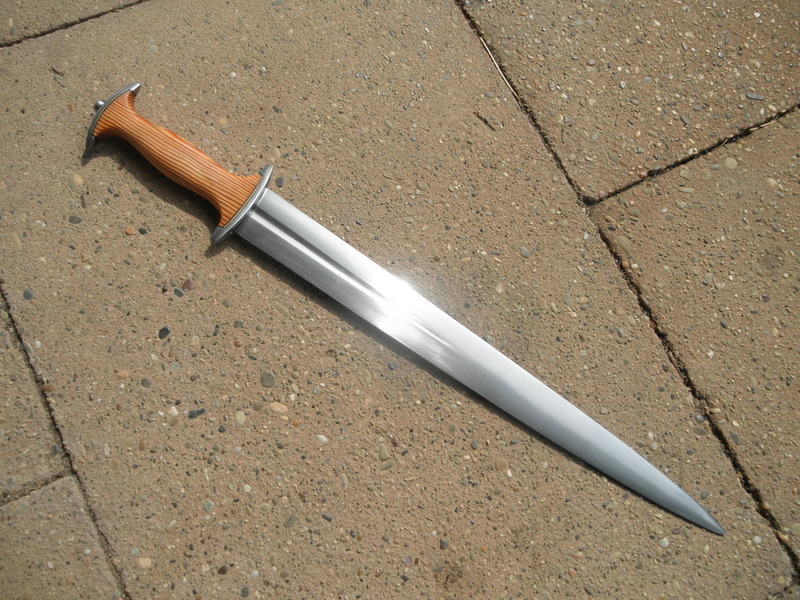 If you desire a scabbard, that can be arranged for a reasonable amount. 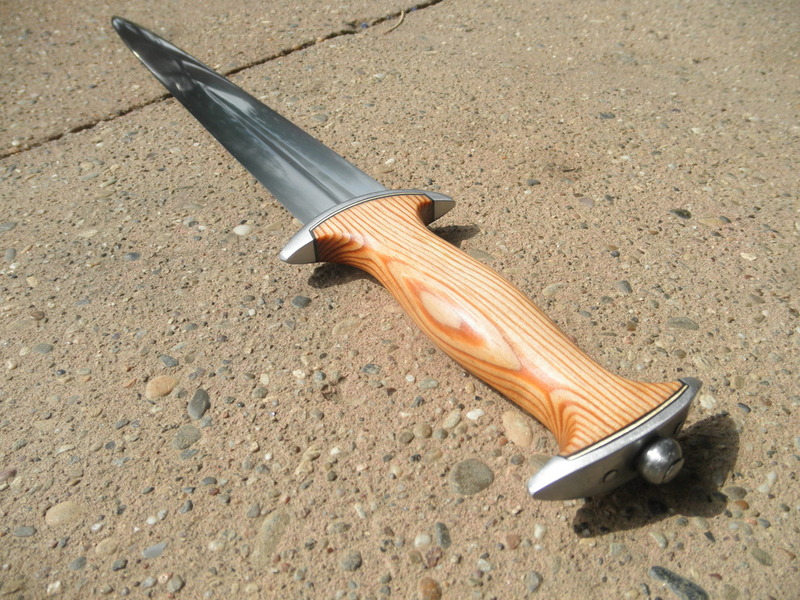 This piece is right on the border between long dagger and short sword. It can be used point down but feels most comfortable point up (at least to me). That's a nice baselard! Do you happen to know the approximate date on comparable originals? This type with the iconic hilt shape is the later style and would be fairly typical for late 15th and 16th century Schweizer Reissläufer. I am putting the Swiss Degen up for sale. Asking price is 1050 Euros. 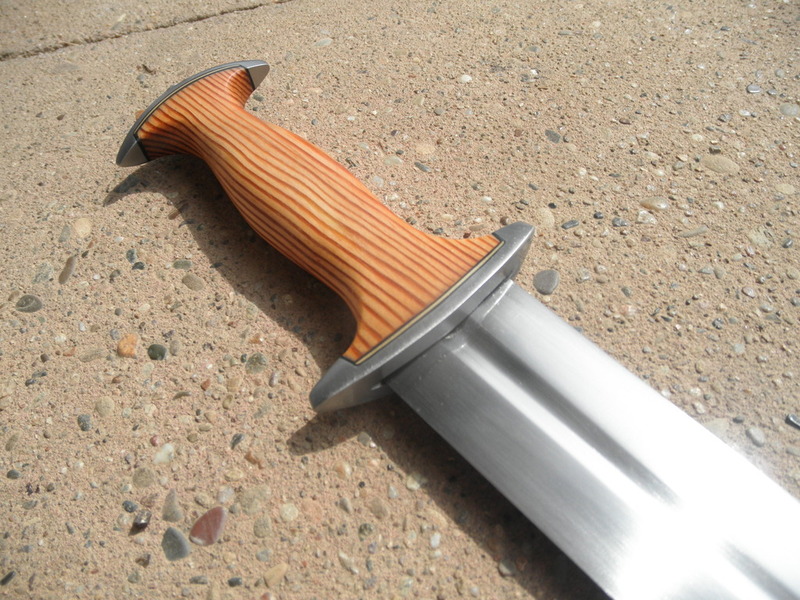 If you desire a scabbard, that can be arranged for a reasonable amount (mainly material costs).